Blending tradition with modernity, the Pearl Academy of Fashion, Jaipur, India, is a spectacular testament to the brilliance of nature as an innovative force. The facility is located in an industrial zone in the dry, desert region of Rajasthan, a locale with traditional roots and a rich architectural heritage. 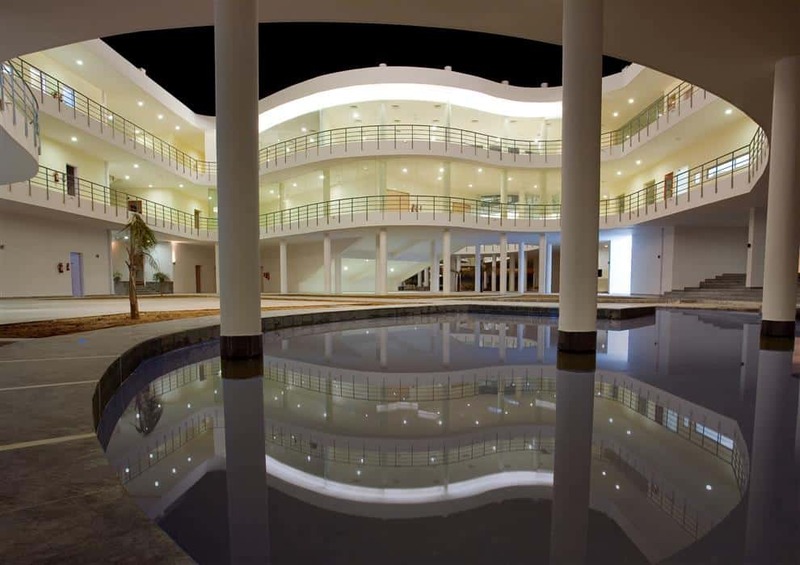 The architect, Morphogenesis, was tasked to create a highly-functional academic institution that embraced free-thinking creativity, respected the local environment while keeping costs within a tight budget. In a region with air temperatures reaching well over 100°F, merely cooling such a building would entail a huge expense. The architects, known for borrowing from traditional techniques, looked no further than the age-old passive cooling mechanisms embedded in many historical structures of the region itself. Historically, people used architecture and design to channel air and water, the elements of evaporative cooling, to control the climate of their homes. Passive – or evaporative – cooling works on the principle that air flowing across water will gain water vapor and become cooler, providing relief to those around. Think of the domes and turrets of ancient architecture. This architectural style was not haphazard but an elegant system to catch and channel the sweeping desert winds into the home. If the open turret would face away from the prevailing wind, using principles of air pressure, the hot air would get sucked down an underground chute and then sweep across an underground canal, or qanat. The contact with water would cool the air, which would then be drawn up and out the house through the windcatcher. The effect of this constant flow of cool air was a decrease in the structure’s overall temperature. In Rajasthan, rather than constructing a subterranean tunnel, a common system was to dig a recessed pond, or bawdi, that would provide cooling relief. The Pearl Academy was constructed as if floating on an immense, sinuous pool of water. The bawdi, or stepwell, is embedded into the ground and spans the whole interior courtyard of the facility. Constantly replenished through an underground waterway, the pool simultaneously absorbs the desert heat from the air, conducts the heat through the liquid and into the surrounding earth, while also fanning out coolness back into the air through evaporative cooling. During nighttime, when the temperature of the desert area drops, the floor of this underbelly dissipates the heat to the surroundings to keep the area thermally comfortable. Passive solar design plays prominently, too, in this magnificent structure. Passive solar design uses the orientation of the sun, the carefully constructed angles of the edifices, and well-chosen building materials, to manipulate the effects of the sun. On the one hand, solar design invites in the sunshine but on the other, it strategically controls the sun’s heat. Intricately hewn stone lattices partition the classrooms from the hot exterior. 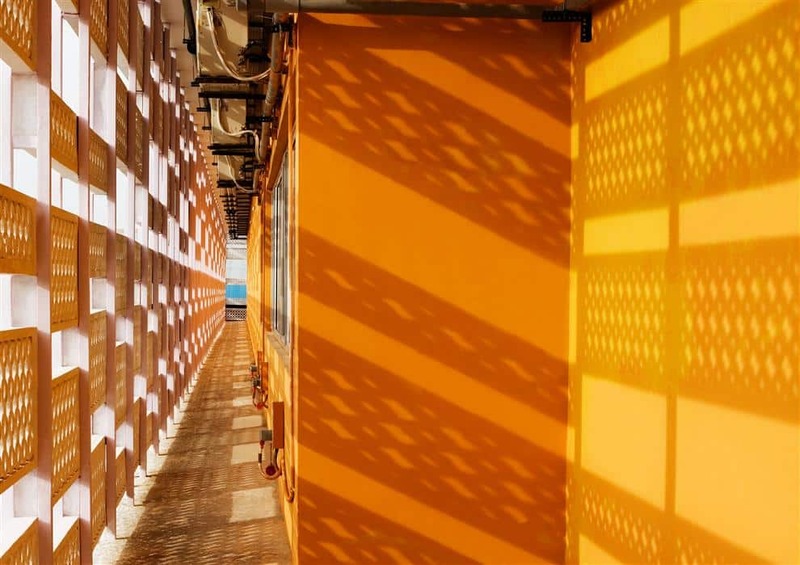 Using traditional motifs, or jaalis, the hollowed spaces filter in the bright sunlight while shading the core structure from absorbing the fiery heat. On hotter days, temperatures outside the building hit 116°F, yet the interior is a bearable 80°F. Truly an incredible proof that air conditioning, and high energy consumption, isn’t the sole solution to summer comfort. Ready to take the plunge?! 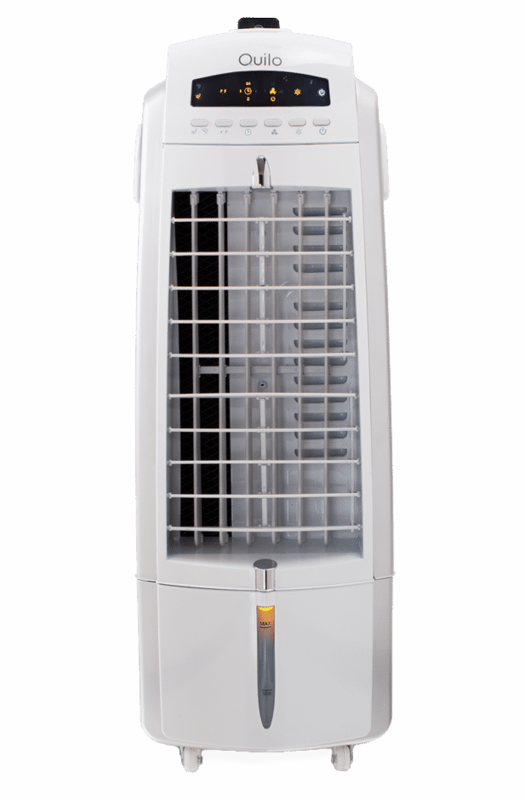 Check out the Quilo 3in1 Fan with Evaporative Cooler for an energy-efficient cooling alternative.